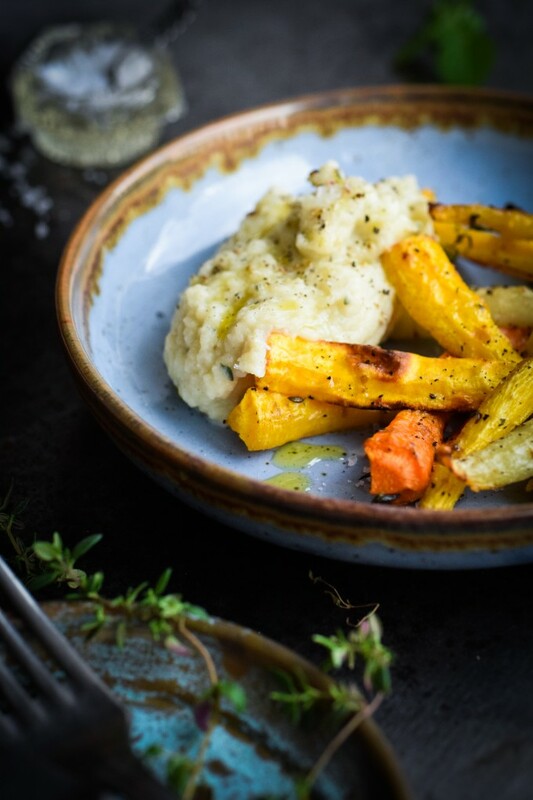 This Jerusalem artichoke mash with apple is the perfect fall side dish for any kind of meat. Or you can just, as I did last time, enjoy it as it is with some oven baked veggies on the side like for example carrots and parsnips. 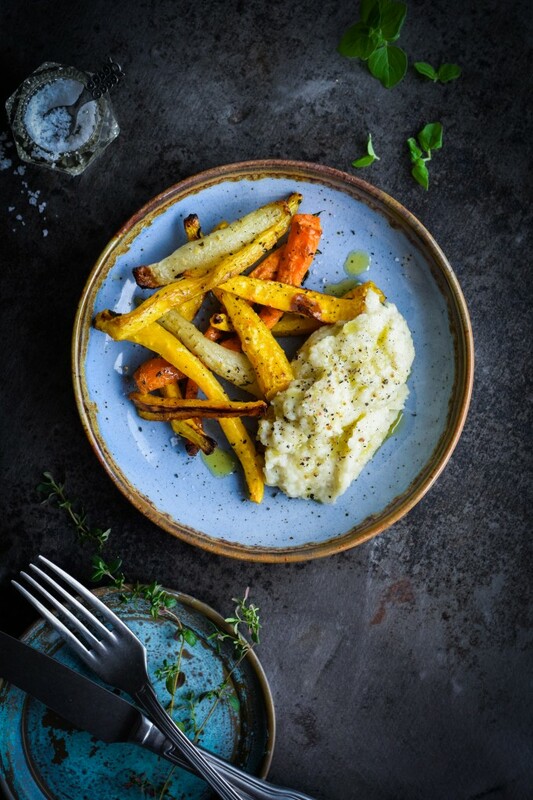 I’ve added apples to the Jerusalem Artichoke mash to give it a bit of sweetness and it works just perfect together with the fresh thyme. And then, of course, I’ve added some CREAM. Because you just can’t make a decent mash without cream or at least butter, am I right?! 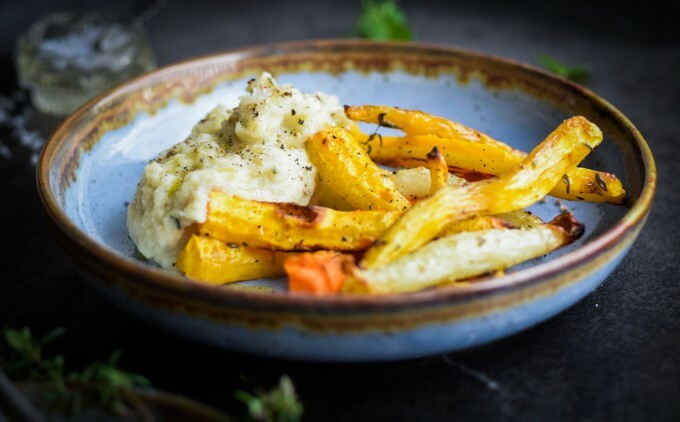 Jerusalem Artichoke Mash with apple is the perfect side dish for any kind of meat. Or simply just enjoy it as it is. Cut the peeled Jerusalem artichokes and apples into medium sized cubes and boil them until tender. Remove from water and blend with cream and fresh thyme. Season with salt and pepper and serve. Fall has really hit the city here in Copenhagen. The leaves are coming off the trees with their most beautiful colors, it’s windy and it’s getting preeeetty cold outside. 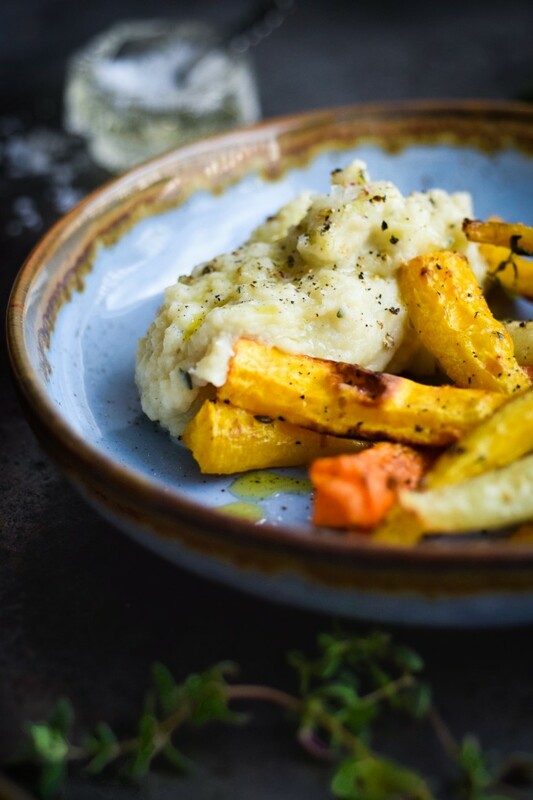 Everything just makes me crave nice and comforting fall meals even more and that is where my newest mash recipe comes into the picture. I really have to make this mash soon again with some of the lovely Danish apples that are now in season and maybe serve it together with one of my crock-pot recipes. I think that would work just great! Especially my lamb slowcooker recipe, which I will be posting here very soon. So stay tuned!